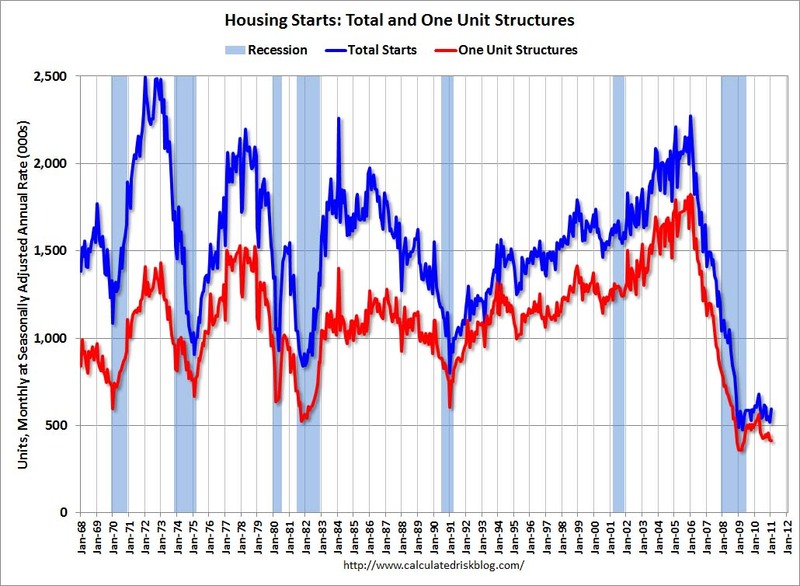 Single family housing starts fell 1% month over month from 417,000 in December down to 413,000 in January. The housing market continues to remain in a depression. Weekly unemployment claims rose this week to 410,000 from 385,000 the week before. American unemployment continues to remain at depression levels. The consumer price index rose .4% for the month due to rents, food, and energy rising across the board. With news that no jobs are being created (income) and the cost of living rising rapidly (expenses) the stock market continues to surge higher toward the stratosphere. The 10 day daily sentiment index for the stock market has pushed to 89.1%. This is the highest level of optimism since May 2007. Look out below when reality sets in for this market. It will be a terrifying rush to the exits.